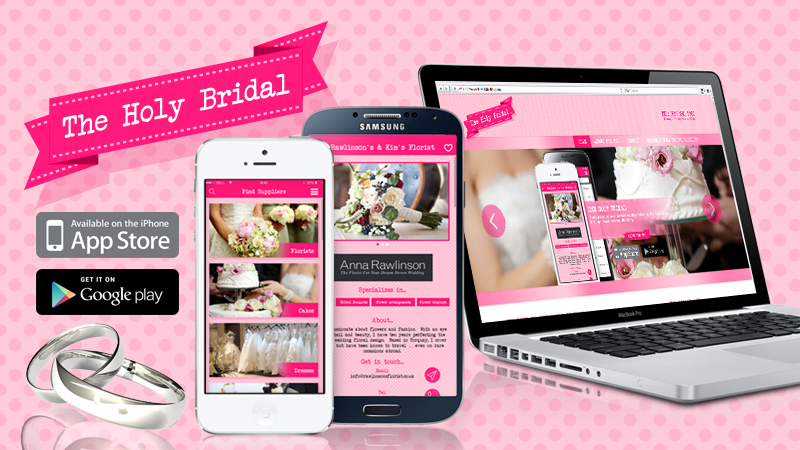 The Holy Bridal allows you to plan your whole wedding day within an app! The Holy Bridal is a unique wedding planning tool, instead of trawling through search engines or old fashioned online directories, this refreshing new concept allows you to find all of the suppliers who are local to you through one simple, easy to use portal. Whether you’re looking for a venue, photographer, caterer or dress maker – with over 20 supplier categories, The Holy Bridal can put you in touch with the very best of these in your area. Don’t worry about giving your email away, you choose who contacts you through the app and we don’t share your information. The Holy Bridal is available as a FREE download on the iTunes App and Google Play stores.